P509A Full Gigabit Unmanaged PoE Industrial Ethernet Switches - PoE Gigabit Industrial Switch - Shenzhen InMax Technologies Co., Ltd. (InMax) �C the professional supplier of Industrial Ethernet Switches, and provider of IOT Industrial Communication Solutions. 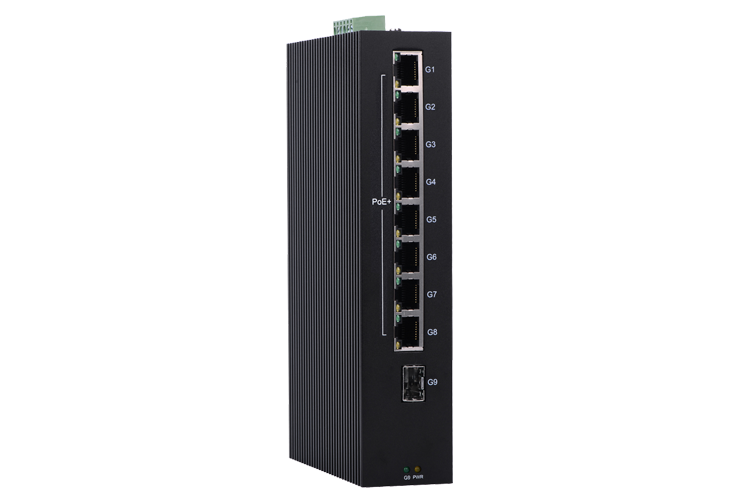 P509A Full Gigabit Unmanaged PoE Industrial Ethernet Switches are equipped with 9 Gigabit Ethernet ports, and up to 8 PoE ports, making them ideal for applications that demand high bandwidth. No fan, low power consumption design, working function more steady, and no packet lost in 72 hours full load traffic testing. It accords with FCC, CE, RoHS standard and industrial design requirement. It can work in -40 to 75℃ working temperature steadily, and provide reliable and quick solution for your Ethernet device. Unmanaged Industrial Switch 1000M Unmanaged Industrial Swi..
1.25G Optical Transceiver 1x9 Optical Transceiver 10Gbps Optical Transceiver 10/100/1000 BASE-T Copper SFP .. Copyright @ 2015~2017 Shenzhen InMax Technologies Co., Ltd. All Rights Reserved.